In 1909, scientists discovered a trove of fossils in British Columbia, known today as the Burgess Shale fossils. These fossils differed from others in that they preserved the structures of soft matter, revealing things like eyes and guts or the bodies of soft animals like jellyfish. Burgess Shale-type fossils have since been discovered around the world, helping scientists piece together the story of the Cambrian Period 500 million years ago and the burst of new species around that time—a stage known as the Cambrian explosion. 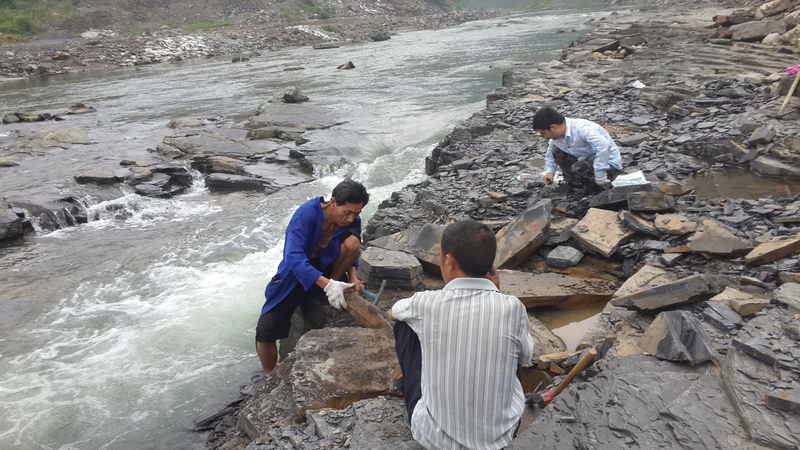 The newest discovery from the Danshui River, called the Qingjiang biota, rivals existing fossil assemblages in how well it preserves the included species, the diversity of species included, and the proportion of new species. “The particularly large proportion of new taxa in the Qingjiang biota... suggests that the present understanding of the diversity and disparity of metazoan ecosystems in the immediate aftermath of the Cambrian explosion is far from complete and will be greatly informed by future discoveries,” the authors from Northwest University and Guizhou University in China and Pomona College in California write in the paper published today in Science. The assemblage of fossils represents 4,351 specimens in a region calculated to be 518 million years old, according to the paper. Of the 101 new species identified, 53 percent were new, and 85 percent had soft bodies. The most diverse groups included arthropods (an invertebrate group that includes spiders and crustaceans) and sponges. The fossils represent groups from the sea bottom, in the sea sediment itself, and ones that float and swim around like jellyfish. Surprisingly, only eight species were shared with the Chengjiang biota, another similarly aged Burgess Shale-type fossil site 1,050 kilometers (652 miles) away. These differences are surprising but likely represent a difference in the ecology between the two places 518 million years ago. “The comparison of the two biotas offers a rare opportunity to understand how early metazoan communities developed in response to environmental parameters,” the authors write. The site represents an important snapshot from the Cambrian explosion—a time beginning around 542 million years ago when a diverse array of animals suddenly appear in the fossil record. This period likely marked the beginning of many of the marine-based animal interactions that still exist today.